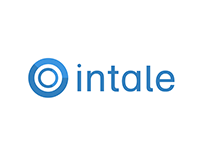 Intale has developed and commercialized i-kiosk®, an integrated, retail management software platform for small retail businesses (i.e. kiosks, mini markets, grocery stores, convenience stores, bakeries, etc). Intale’s (i-kiosk) improves shop owners’ daily operations. Additionally, its cloud-based architecture consolidates and analyzes the sales information gathered at the store level to generate actionable market insight. As the most popular PoS software for small shops in Greece, i-kiosk is installed in >300 stores.